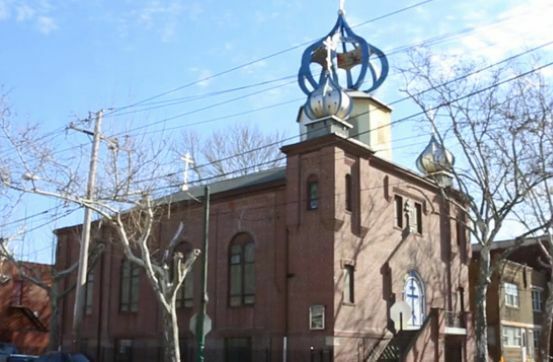 The parish of The Assumption of the Holy Virgin Russian Orthodox Church is located at its original site, 28th and Snyder Avenues in South Philadelphia. Our Founding ancestors were mostly Carpatho-Russians from the former Austro-Hungarian Empire. They immigrated to the Unites States during the period known as the Progressive Era. This wave of immigration started roughly around 1880 and lasted until the beginning of World War I (1914). These “newer immigrants” brought a strong religious affiliation with them. It was in 1963, the year of the Assumption’s Golden Jubilee, that a new Iconostasis was donated by the parish’s Ladies Auxiliary in commemoration of this milestone. Through dedicated hours of sponsoring bake sales, rummage sales, Christmas bazaars, panics, and other fund raising activities, the women succeeded in raising the $11,500; the total cost of a new Iconostasis, which still adorns our church today. Soon after the Iconostasis was installed, our parish was very fortunate in commissioning the world renowned iconographer, Mr. Matthias Von Reutlinger. Durning the next several years, Mr. Von Reutlinger adorned our church with seventy original icons. As an added not of interest, each one of these icons was donated by either a family or a member or a member of the Assumption of the Holy Virgin Russian Orthodox Church, rather that by an organization within the parish or through contributions from businesses associated with the church.